1. Low Down Payment – FHA Mortgage Loans only require a 3.5% down payment. And what makes that even more attractive is that it can be a gift from a relative. Do you have a parent or sibling who would “Gift” you some money for a down payment? If so, it could be time to apply for an FHA Mortgage Loan. 2.Flexible Credit Qualifying – HUD did NOT set a credit score requirement for qualifying for an FHA Mortgage Loan. However many lenders in the market today have drafted “Overlays” that set minimum credit score requirements. Most lenders like to see a minimum 620 credit score, but don’t get discouraged if you are not there yet. If you are close to 620, it is often just as simple as reviewing your credit to determine how to quickly raise it. 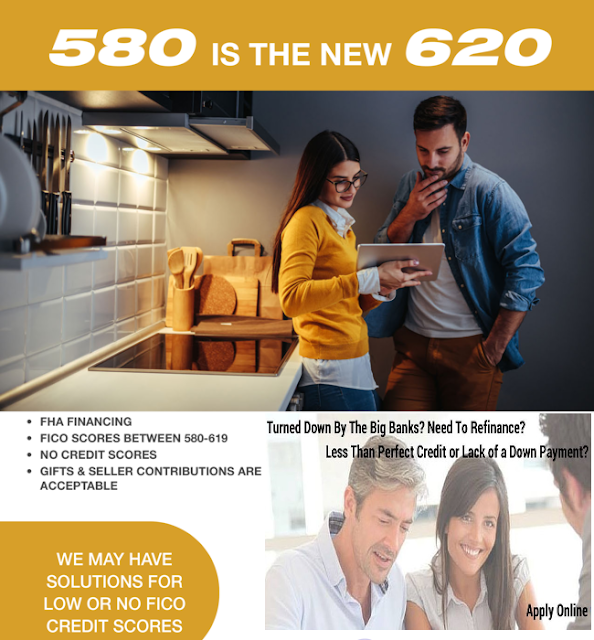 If you are not close to 620, ask your FHA Mortgage Loan Originator if they have a program for you. Chances are, there is! Bankruptcies and prior foreclosures do not automatically disqualify you either. 3.The Seller Can Pay Your Closing Costs – That’s right. You need to have a quality Realtor who will help you negotiate not only the best price for the home, but also that the seller will pay your closing costs. 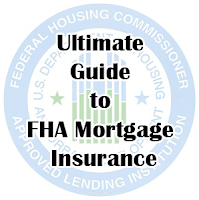 HUD allows FHA Mortgage Loans to have the seller pay up to 6% of the purchase price. Sounds good so far, a down payment gift and seller paying closing costs! 4.Flexible Income Qualifying – The standard for income qualifying ratios is 31/43 which means that up to 31% of your monthly income can be used to pay your monthly household mortgage payment; and up to 43% of your monthly income can be used to qualify for ALL monthly expenses. Those ratios can go up to 55% if you have good credit and a good income history allowing you to qualify when others might not. 5.Qualify Without Your Spouse’s BAD Credit – This is a tricky one but it is also not well known. You can effectively qualify for an FHA Mortgage Loan without your spouse’s Bad Credit. FHA will look at your spouse’s credit but cannot decline your loan due to your spouse’s debt or credit score. So if you have a spouse with a crummy credit profile, you should take a look at FHA Mortgage Loans to see if it will work for you. What are Kentucky FHA Loans? 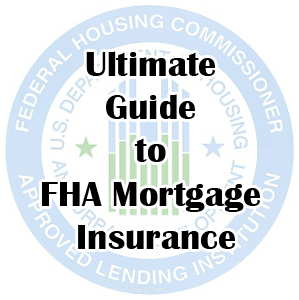 FHA stands for Federal Housing Authority. 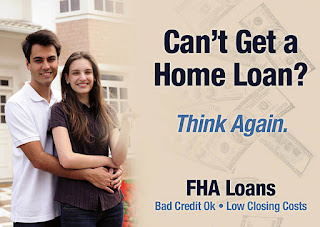 FHA Loans provide low-cost insured Home Mortgage Loans that suit a variety of purchasing options. Whether you’re buying a home or want to refinance your mortgage, FHA loans might be right for you. If you’re unsure about your credit rating, or have concerns about a down payment, FHA loans can give you piece of mind with super low closing costs and flexible payment options. What factors determine if I am eligible for an FHA Loan in Kentucky? To be eligible for FHA Mortgage Loans, your monthly housing costs (mortgage principal and interest, property taxes, and insurance) must meet a specified percentage of your gross monthly income. Your credit background will be fairly considered. You must be able to make a down payment, cover closing costs and have enough income to pay your monthly debt. Maximum Loan Amount in Kentucky: The Maximum FHA Loan amount allowed for FHA Home Mortgages varies from county to county in Kentucky. The highest maximum FHA Home Loan right now in Kentucky county is $294,000. 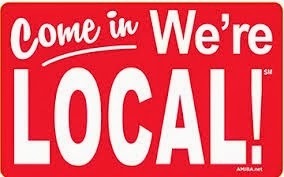 To see what the limit is in the county in which you’re interested, please refer to the Kentucky FHA Loan Limit chart at the bottom of this page. Maximum financing: In Kentucky, the maximum FHA financing will be 97.75% of the appraised value of the home or its selling price, whichever is lower. Kentucky FHA loans require the home buyer to invest at least 3.5% of the sales price in cash for the down payment and closing costs. If the sales price is $100,000 for example, the home buyer must invest at least $3,500. However, the home buyer can use gifts from family, funds from local, state or government agencies, or other sources for the down payment. What property types are allowed for FHA Loans in Kentucky? While FHA Guidelines do require that the property be Owner Occupied (OO), they do allow you to purchase condos, planned unit developments, manufactured homes, and 1-4 family residences, in which the borrower intends to occupy one part of the multi-unit residence. There are three main types of FHA Refinance loans available in KY. The FHA Rate/Term Refinance is for borrowers who currently have a conventional fixed rate or ARM mortgage and wish to refinance into an FHA Mortgage. This program helps borrowers who wish to have a stable, fixed rate FHA Insured Loan. An FHA Cash Out Refinance is perfect for the homeowner who wants to access the equity that they have built up in their home. This program is beneficial to homeowners whose property has increased in value since it was purchased. The FHA Streamline Refinance is designed to lower the interest rate on a current FHA House Loan or convert a current FHA adjustable rate mortgage into a fixed rate. An FHA Streamline Refinance can be performed quickly and easily. It requires much less hassle and paperwork than a normal refinance including no appraisal, no qualifying debt ratios and no income verification. The loan must be for a property used for your primary residence. You must have a valid Social Security number and be a legal resident of the U.S.
You must have a minimum credit score of 580 with a down payment of at least 3.5 percent, or a minimum credit score of 500 with a down payment of at least 10 percent. You may not have delinquent federal debt or judgments, or debt associated with past FHA loans. You must have steady employment history. You must make a down payment of at least 3.5 percent of the purchase price. If the down payment was gifted by a family member, documentation is required. You must have a DTI ratio that does not exceed limits. Two DTI ratio figures are calculated when considering an FHA mortgage. The front-end DTI ratio is your total monthly housing expense, which includes the mortgage principal and interest, mortgage insurance, homeowners insurance, property taxes and applicable homeowners association fees, divided by your total monthly income. The back-end DTI ratio is your total monthly debt obligation, including housing, minimum credit card payments, auto loans, student loans and any other required monthly debt payment, divided by your total monthly income. Standard FHA front- and back-end DTI limits are 31 percent and 43 percent, respectively. If you earn $3,500 per month, your front-end DTI cannot exceed $1,085 and the sum of all your monthly debt obligations cannot exceed $1,505. Applications for borrowers with lower salaries and higher DTIs are manually underwritten. Manual underwriting means that your lender assigns a person to review your loan application and documents, versus running your information through an automated underwriting system. Manually underwritten FHA loans allow for front- and back-end DTI ratios of up to 40 percent and 50 percent, respectively. To qualify for these higher DTI limits, you will need to meet other requirements.